When the American writer Stephen Ambrose referred to the young men and women who served in World War ll as ‘the greatest generation’, he could not have more aptly described Jim Holdaway as the epitomy of that generation – a generation which has sadly all but passed into history. Jim Holdaway died last week after a life of service to his country in war and in peace. It could be said of New Zealand that its finest hour as a modern country was in the great global struggle of World War ll. During the Second World War it is fair to say New Zealand performance was remarkable and out of all proportion to its size. New Zealand had a higher proportion of its citizens in uniform than any Allied nation apart from the Soviet Union. During the intensive and exacting years of 1942-1944 New Zealand committed more in terms of war expenditure as a percentage of national income than any other Allies apart from the United Kingdom. The quality of New Zealand’s armed services, the elite calibre of the 1st NZ Division, and the commitment and ability of its personnel on land, sea and air was to bring New Zealand enormous international prestige. Because of this New Zealand and its prime minister Peter Frazer were deeply respected by the Allied war leaders Winston Churchill and President Roosevelt. This hard-won prestige and respect earned on the battlefield meant that New Zealand became a key player in the post war settlement – especially in the formation of the United Nations. 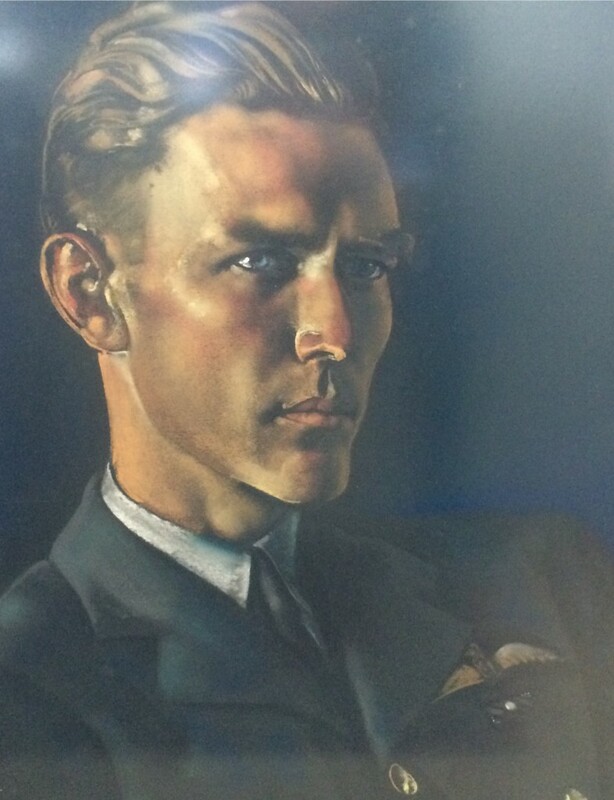 Raised on a farm in the Great Depression at the outbreak of war Jim Holdaway volunteered and served with distinction as a flight-lieutenant in the RNZAF. Seconded to the RAF he was awarded the Distinguished Flying Cross for carrying out missions over enemy-occupied Europe and North Africa with ‘courage and determination’. Flight-lieutenant Holdaway earned a bar to his DFC flying mosquito fighter-bombers in the highly hazardous task of a pathfinder for bombing raids on Germany. Flt. Lt. Jim Holdaway. DFC & bar. Regional politician, conservationist. One of the founders of Auckland’s regional parks network. After the war Jim became a pilot on passenger aircraft for BOAC. He then returned to New Zealand with his remarkable and beautiful English wife Ann. Having discharged his duties as a soldier with courage and distinction, Jim returned to the peaceful pursuit of farming. At semi-rural Northcote before the building of the Harbour Bridge he and Ann began a family and had three children Nigel, Mark and Sarah. Here too Jim and Ann working side by side broke in a market garden and then a 200ha farm in Dairy Flat. Always a civic-minded person Jim became increasingly drawn into in local government and in 1953 was elected to the local Northcote Borough Council. In 1959 he was elected Mayor and served in this role for 9 years. He also served on the Auckland Regional Planning Authority. Jim’s great achievement in local government was in 1963 when after years of hard work and lobbying along with fellow intellectual politicians like Dove-Myer Robinson, Hugh Lambie and Lee Murdoch he helped form the Auckland Regional Authority, (ARA). The ARA was critical to the development of Auckland as a modern city. The ARA was responsible for the Auckland International Airport, the building of 5 major water storage dams, the comprehensive upgrade of the Mangere wastewater treatment plant, major landfills, the building of arterial roads like Balmoral Drive and Ian McKinnon Drive, the creation of the ARA Bus service – the biggest bus company in New Zealand, regional planning, – and the achievement most dear to Jim’s heart, the regional parks network. The ARA in its early years had enormous mana because of the scale of its achievements and because of the stature of its leaders. In many respects the ARA was more powerful than the present ‘Super City’ as the ARA unlike the ‘Super City’ had all of its functions under the direct control of its elected members. Auckland’s regional parks network was first envisaged by the visionary planners and regionalist politicians who founded the ARA – men like Dove Meyer Robinson, the regional planner F.W.O. 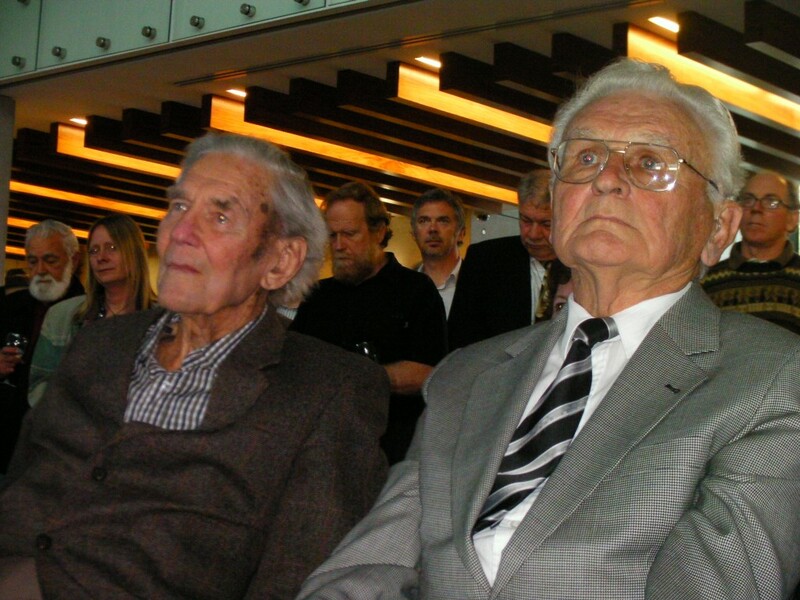 Jones, Arnold Turner (the last living founding member of the ARA) and Jim Holdaway. They were aware that the nearest national parks lay some 400km from Auckland and were anxious both to provide outdoors recreation outlets for Auckland’s rapidly growing population, and to protect the region’s outstanding coastal landscapes from suburban sprawl. Building on the existing Centennial Memorial Park the ARA stepped in to acquire prime beachfront area at Long Bay and Wenderholm before they were cut up as coastal subdivisions. Jim Holdaway took an active role in these decisions and in the acquisition negotiations. From that time onwards Jim always retained the keenest parental interest in regional parks and the ARC. During my time as chairman of the regional parks committee (1992-95) and as chairman of the ARC (2004-2010) Jim nearly always accompanied by Ann, religiously attended ARC events and functions – especially regional parks events. After retiring from regional politics, Jim served on numerous government bodies, often as chairman, including the Urban Transport Council, The Nature Conservation Council, the Hauraki Maritime Park Board and the Auckland Conservation Board. He became increasingly interested in conservationand natural history and later served on community based environmental groups like the Tree Council, the Motutapu Restoration Trust, and the Hauturu Trust, amongst others. In 1991 he was appointed by the National Minister of Conservation Denis Marshall to chair the Minister’s ‘Technical Working Party on the Hauraki Gulf Marine Park proposal along with Marjorie van Roon and Jan Crawford. Jim’s working party received 764 submissions and held 30 consultative meetinges. They came down strongly for a national park in the Hauraki Gulf. Jim’s park proposal meet opposition from conservative elements and many local councils – and it was shelved for some years by the government. It was finally revived in 1995 after passionate lobbying from Jim and other conservationists including myself. However the park proposal when it was finally produced was a considerably weaker version than the model Jim and his technical working party had recommended and is in many respects a ‘virtual park’. There is no park’s commission or indeed any management structure – and the designation “National Marine Park” does not appear in the in the empowering legislation, the ‘ Hauraki Gulf Marine Park Act 2000′. I was present in early 1999 when Jim in arguing before a select committee to strengthen the Park along the lines of his original recommendation managed to persuade the MPs to include within the Park the waters of the Hauraki Gulf (Part 3. s.33(d) – along with the DoC islands and the seabed. Despite its shortcomings (which can and must be rectified) the legislation was finally passed into law in February 2000 by the Labour-Alliance government. 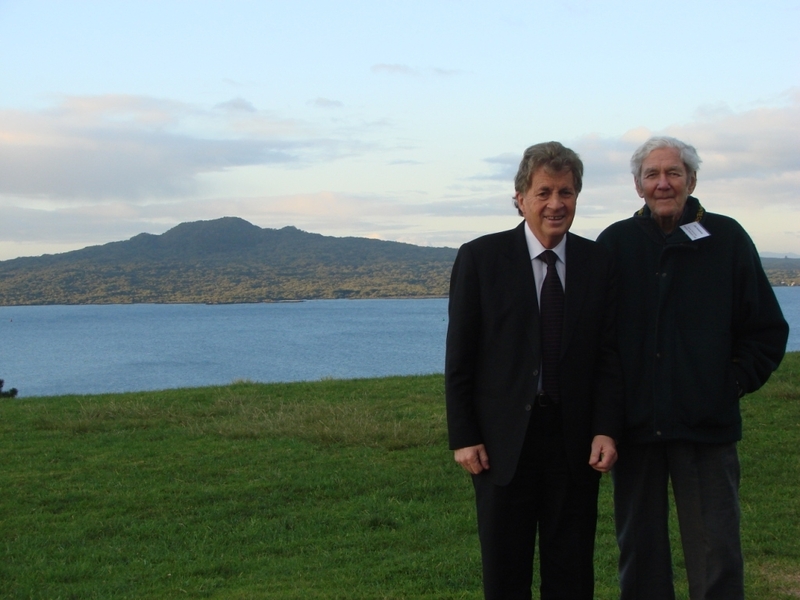 Jim Holdaway will always be remembered as the father of the Hauraki Gulf Marine Park. I saw Jim quite frequently in recent years, usually on a regional park or out one of the Gulf Islands. We had long telephone conversations in which he would talk about Robbie and the early years of the ARA. In 2009 he wrote to me asking me to stand for mayor of the new Super City and pledging his support. I was deeply touched and honoured. It was November when I last saw Jim – by then he was already hospitalised. The sudden and tragic death of a beloved son-in-law Grant had badly shaken him and sent him into a downward spiral. However in November despite failing health he still retained his physical strength and was able to join Ann, my colleague Sandra Coney and myself for afternoon tea where Ann recounted how she and Jim had met in wartime Britain. Jim passed away peacefully last week. His funeral service was held at St John the Baptist Anglican Church on Saturday in his beloved Northcote – mourned and eulogised by friends and family before an overflow congregation of admirers who had come to pay their respects to a great New Zealander. E.A.Jim Holdaway CNZM, OBE, DFC and BAR. 8 January 1918 – 14 January 2012. You’ve published a wonderfully appropriate tribute to Jim Holdaway. He (and you) are outstanding figures in Auckland’s local government scene. Thanks very much Michael – very nice of you to say so. I hope you are keeping well. Jim Holdaway was indeed a man who made his world a better place than when he first discovered it. His contribution to the City of Auckland is truly remarkable and his humility equally profound. A visionary as he was he had the opportunity to make changes and foresaw the need for the Auckland Regional Council. His model was appropriate for Auckland City, the present Super City is not. The Auckland Regional Council allowed for the variety of locational cultures to survive and flourish, Jim I know will be saddened to see this aspect of his dream circumvented and crushed. I always found Jim and Ann to be wonderfully generous people with their time, their ideas and finally their hands on contribution to ensuring their vision became a reality of considerable consequence. I am saddened at Jim’s passing and know that Ann will continue her work with the Red Cross and other organisations if her health allows. I have had many sleepless nights worrying about the demise of the ARC. I am confident the Auckland Council will realise its regional responsibilities and its unique potential and pick up the fallen flag of the ARA/ARC. thank you for your kind comment on my post regarding your late father Jim. My apologies for not spotting this earlier.